Legal experts say that several key changes will come in the aftermath of the Royal Commission into Misconduct in the Banking, Superannuation and Financial Services Industry. Released on Monday, the final report by High Court justice and royal commissioner Kenneth Hayne included 76 recommendations that test major aspects of the financial services industry. The current government said that it will “take action” on all recommendations made in the final report. The opposition said that it accepts all recommendations “in principle” and went further by saying that implementing the recommendations would be the minimum to improve Australia’s banking and financial services sector. The Law Council of Australia said that the main focus that stood out from the report is an increase in consumer protections, harsher penalties for lawbreakers, expanded enforcement powers for regulators, and an industry-wide streamlining of laws. The main thrust of the Law Council’s submission was the call for simplification of complex laws to make them easier to understand and administer, Moses said. He said the Law Council was pleased by the recommendations of the Hayne report. 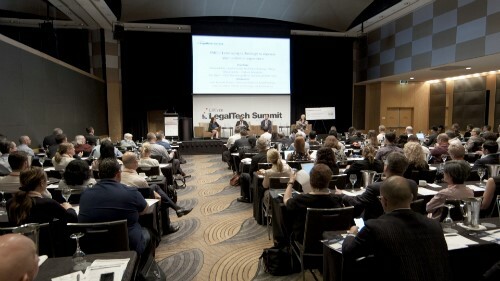 Australian Lawyers Alliance (ALA) said that the recommendations will “level the playing field” for consumers. Andrew Carter, Ashurst dispute resolution partner, warned that major shifts are ahead. "The final report of the Hayne Royal Commission is going to lead to significant specific legislative and policy changes across the financial services sector, including the expansion of the Banking Executive Accountability Regime and industry codes of conduct being used to set new legal standards. That said, it does not set the stage for whole new areas of regulation or a different regulatory architecture. Big changes will be felt though with a tougher, more litigious approach to enforcement from ASIC, and, over time, potentially a simpler legislative regime with fewer carve-outs and exceptions,” he said. MinterEllison said that it’s time to reset the moral compass of the financial services sector. “The Royal Commission has shone a piercing light on some unacceptable behaviour that has existed in the industry for a long time, including calling to account conflicts of interest – some of which have become institutionalised,” said Rahoul Chowdry, the firm’s financial services industry leader. “The recommendations are thoughtful, balanced and provide an opportunity for our financial institutions to not only address the symptoms, but also the root causes. In many cases, this will involve robust attention to acting in the best interests of customers and our communities whilst balancing commercial outcomes,” he said. “Commissioner Hayne emphasises the vital point that primary responsibility for misconduct into the financial services industry lies with the entities concerned and those who managed and controlled those entities – thus rightly directing the attention back to the management and governance of financial services organisations,” said Mark Standen, MinterEllison corporate governance partner. Norton Rose Fulbright partners Scott Atkins, Danielle Avery, and Philip Charlton, said that the final report reiterated the underlying “six norms of conduct” identified by the commissioner in his interim report. These are: obey the law, do not mislead or deceive, act fairly, provide fit-for-purpose services, deliver services with reasonable care and skill, and act in the best interest of the other when acting for someone else. “Hayne has also framed four key questions which he seeks to answer in his recommendations. These include: how the law can be simplified, how to approach conflicts of interest, and how to improve the effectiveness of regulators. Importantly, he also asks what more can be done to achieve effective leadership, good governance and appropriate culture so that entities comply with the six norms of conduct,” the NRF partners wrote. The report recommends that as often as possible, financial services organisations should take proper steps to assess culture and governance and evaluate if changes made are effective. Hall & Wilcox said that the next government has its job cut out to deal with all the consequences of implementing the recommendations. “What is clear is that whichever party (or parties) forms the next Government, they will need to concern themselves not only with fixing issues identified by the Commission as necessary to achieve better consumer outcomes, but also with maintaining the flow of credit and continuing to promote competition in the financial system,” the firm said in an analysis. With a federal election on the line, “it is possible that the Government and the Opposition will seek to outdo each other on who is toughest on corporate wrongdoing and the causes of corporate wrongdoing,” it said. Ben Hardwick, head of class actions at Slater and Gordon, said that the report is a timely wake-up call for the nation’s largest banks. The firm is running the only class actions to come out of the evidence presented in the commission. “The Royal Commission has exposed a financial services industry which has lost its way. Time after time, some of Australia’s most trusted institutions have been found to have acted with naked self-interest, paying scant regard to their legal and ethical obligations. It has brought into the spotlight the many illegal practices in the banking, superannuation and financial services industry,” Hardwick said.